This store is conveniently located just off the 15 Freeway in Tierrasanta. Come and enjoy the fun, family atmosphere. 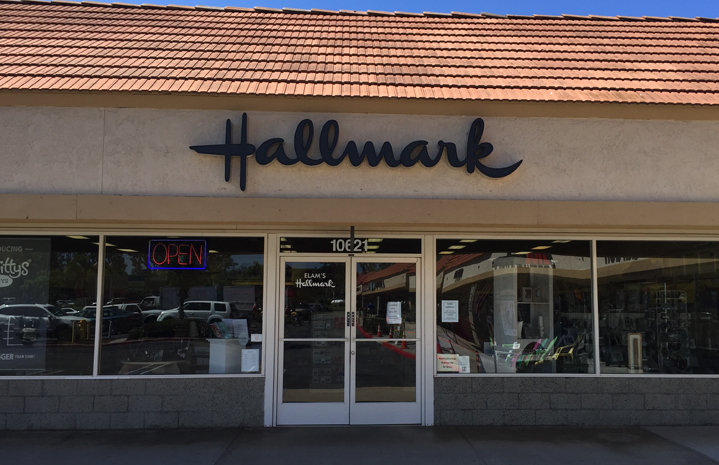 Our store is full of beautiful gifts, collectables and of course, Hallmark products. We also carry a variety of fashionable purses, fashion accessories’ and fun jewelry. We specialize in Hallmark Keepsake Ornaments and collectibles as well as a great selection of Fashion Accessories, Jewelry and great gifts for all your gift giving needs. We also have a great selection of new Kids product including the new itty bitty’s by Hallmark! Join the Hallmark Crown Rewards program for exclusive deals, membership rewards and more!